People visit Abu Dhabi from around the world, and must respect the culture and traditions. Abu Dhabi is more traditional and cultural than Dubai. You aren't allowed to drink alcohol in public places outside of hotels, and swimwear should only be worn on the beach. Tourist should respect the local culture and dress conservatively. There are plenty of museums to visit where you can learn about the local culture and how the city has developed over the last few decades. Some of the main museums include Al Ain National Museum, Zayed National Museum and Emirates National Auto Museum. 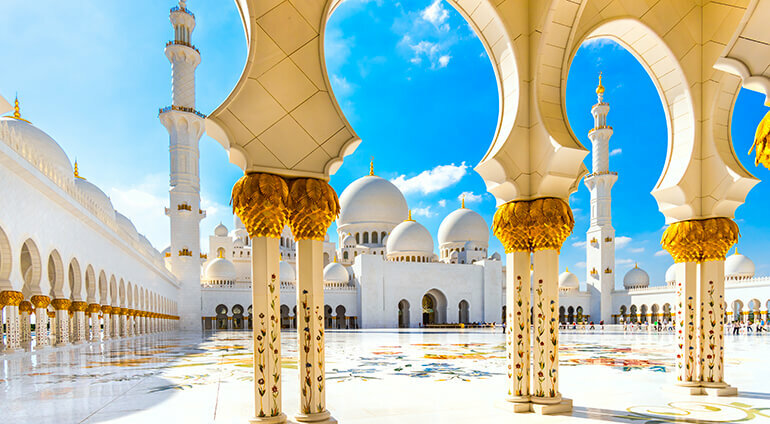 There’s also some beautiful mosques throughout the city, including the spectacular Sheikh Zayed Grand Mosque.